The History of BAN began in 1980 with Peggy Vaughan who did what was unheard of in those days and went public with her personal story about her husband’s affair, even appearing on the then popular Phil Donahue show. Soon she was flooded with letters from others sharing their stories. Peggy began to put these people in touch with each other who were in the same area, and BAN was birthed. As soon as the internet started to catch on in the late 90’s Peggy’s website was used to make BAN support easily accessible to anyone online. Peggy Vaughan passed away in 2012. 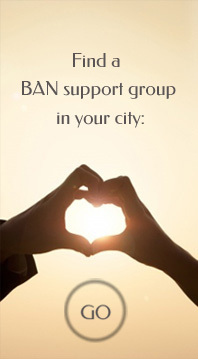 BAN continues to grow and offer support to people all over the world! I had been married for eighteen years when my husband came home and told me one night that he’d been seeing another woman. I was shocked. There had been no warning signs. I thought affairs happened to bad people in bad marriages (or people who didn’t pay attention to their marriages like we did!) but Brian and I had a good marriage. How could this happen to us? I loved and adored my husband. “Her!” he finally yelled at me totally frustrated. He wasn’t going let go of his affair partner. So that was it then. Our marriage had ended, without problems and without warning. Brian was my best friend, my lover, the one I had shared countless memories and holidays with, and now my marriage was over. No hope at all …. I thought. At that point, I received some very good advice from my friends – advice that played a significant role in saving my marriage. Two weeks later Brian came home and wanted to work on our marriage. No flowers, no getting on his knee’s begging my forgiveness, none of the things one would expect. “I guess I’m home,” he said sounding anything but enthusiastic. Chaos ensued. Wrong reactions make a bad situation worse. While fighting to save my marriage, I was dealt other blows on the home front, a fire, drinking and driving, and what appeared to be suicide attempts. From that broken place we rebuilt our marriage. Our well-meaning friends, family and pastor went all out to help us, but even so, because of the “code of secrecy” regarding affairs, people often don’t know how to really support the ones they love through this devastating journey. While I was surviving my own personal nightmare, I was sure that I was going through the worst thing a person possibly could, and I was sure that my story was the worst one. This wasn’t supposed to happen to me. It took us two and a half years to rebuild our marriage. Today we’re both stronger and more in love than ever. I remember the affair, and I remember everything that happened in those days, clearly, but I no longer have pain attached to the memory. Once I survived my own personal nightmare, and came out on the other side healed, I wondered, why is no one talking about this epidemic in our culture? That’s when I decided to write my book titled, “My Husband’s Affair Became the Best Thing That Ever Happened to Me.” I wrote the book I wished I’d had at the time. I’d always wanted to be a writer, but never believed in myself enough to write. Personal growth that resulted from the pain of the affair, spurred me to pursue life with passion, and to dare to be me, instead of living my life to please others. In writing, I knew I needed a mentor, but how could I find such a mentor? Through an article in a newspaper, I read about a famous woman named Peggy Vaughan, a woman who had written her own story of her husband’s affair, and had achieved with her life the things I desired to achieve. I wondered how I, a regular person (with a dream) in Abbotsford, British Columbia, a person who’d never written before and who didn’t have a degree, could gain the attention of a famous author from California. Through her website (www.dearpeggy.com), I saw that she had founded a network of support groups for betrayed spouses. I also saw that at that time there was no support anywhere in Canada west of the province of Ontario. So I signed up as a Beyond Affairs Network (BAN) coordinator. The next thing I knew people were sending me their broken heart stories from all over Western Canada. “I guess I better have a meeting,” I thought to myself. Being a BAN coordinator has been one of the most rewarding experiences of my life. I did it to help others, what I wasn’t prepared for is how much it helped me. And yes! Peggy mentored me, but what came next I could never have dreamed. It is our vision that BAN will become as commonly known and available as Alcoholics Anonymous, that we can break the “code of silence,” and that no betrayed spouse need ever suffer this tremendous pain in isolation, as many in the past have had to do. 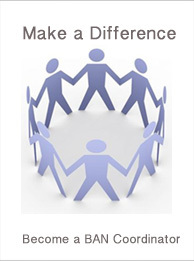 Beyond Affairs Network History continues to be written in BAN groups around the world every day!